I love to write about science and about the relationship between neuroscience, medicine, philosophy and the world at large. I write both for other scientists as well as for the general public. Here you can find links to these publications. My latest book, Consciousness – Confessions of a Romantic Reductionist has been published by MIT Press. Here is a 4 min long YouTube video about it (made by Moran Cerf). It summarizes the modern science of consciousness. What links conscious experience of pain, joy, color, and smell to bioelectrical activity in the brain? How can anything physical give rise to nonphysical, subjective, conscious states? I have devoted much of my career to bridging the seemingly unbridgeable gap between the physics of the brain and phenomenal experience. This short book–part scientific overview, part memoir, part futurist speculation–describes my search for an empirical explanation for consciousness. I recount not only the birth of the modern science of consciousness but also the subterranean motivation for my quest–my instinctual if “romantic” belief that life is meaningful. I describe my sixteen years of close collaboration and friendship with Francis Crick and the gradual emergence of consciousness (once considered a “fringy” subject) as a legitimate topic for scientific investigation. I tell stories from the front lines of modern research into the neurobiology of consciousness as well as my reflections on a variety of topics, including the distinction between selective attention and consciousness, the unconscious, how neurons respond to Jennifer Aniston, the physics and biology of free will, dogs (of course), Der Ring des Nibelungen, the integrated information theory of consciousness by Giulio Tononoi, sentient machines, and the loss of my belief in a personal God. Confessions is not just about science, however. I am not only a dispassionate physicist and biologist, but I am also a human being who enjoys but a few years to make sense of the riddle of my existence. I’ve learned over the last years how powerfully my unconscious inclinations, my beliefs, and my personal strengths and failings have influenced my life and the pursuit of my life’s work. You’ll learn about these as they become relevant to the quest I’m on – to uncover the roots of consciousness. An earlier book is aimed at a more technical audience. Entitled The Quest for Consciousness: A Neurobiological Approach Quest outlines a general neurobiological framework for discovering how consciousness, the subjective mind, arises out of the flickering interactions among the neurons of the cerebral cortex and related brain areas. The book is based on collaborative work between Francis Crick and myself from 1990 until 2004. If you have questions about our approach and the way we define terms, check out this glossary. This one is a textbook Entitled, Biophysics of Computation: Information Processing in Single Neurons. 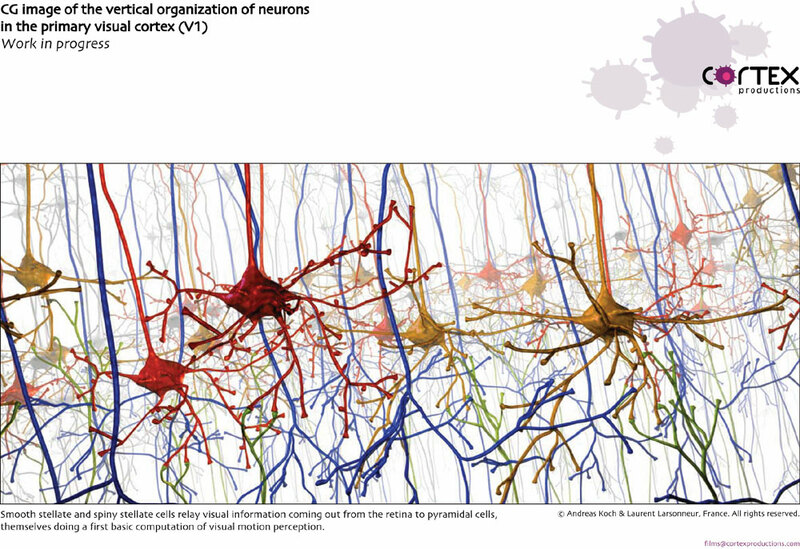 It analyzes how individual nerve cells process information and details the biophysical mechanisms underlying computation at the level of synapses, channels and membranes. 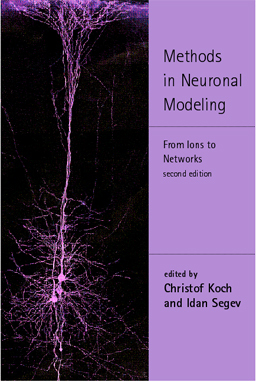 Together with my good friend Idan Segev, this book of our’s Methods in Neuronal Modeling, is now in its second edition. I edited other books and authored or co-authored with members of my laboratory or with other colleagues more than 250 papers in peer-reviewed scientific journals, and more than 150 book and conference chapters, and 7 patents by the US Patent Office. You can download these publications here. I write a regular column for Scientific American mind called Consciousness Redux. In each essay, I comment on a recent experimental or theoretical development that is important to help ups understand the neuronal roots of the conscious mind. Most columns have a decided neurobiological point-of-view. Together with my younger brother Andreas, and his company CortexProductions, France. We are working on a 13 minutes long, computer-animated movie traveling through the visual system, from the retina to deep into cortex (see one frame from a pilot). Of course, I also love to read books. Here is a list of books I’ve read and commented upon.